How many times are the values in the table? 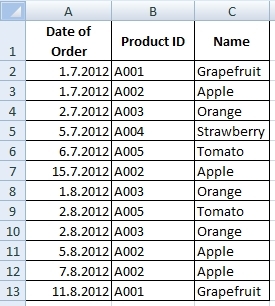 There is an easy way to find number of occurrences of items in the table. For example, the following table contains repeated Products. We want to know, how many times was each product ordered.